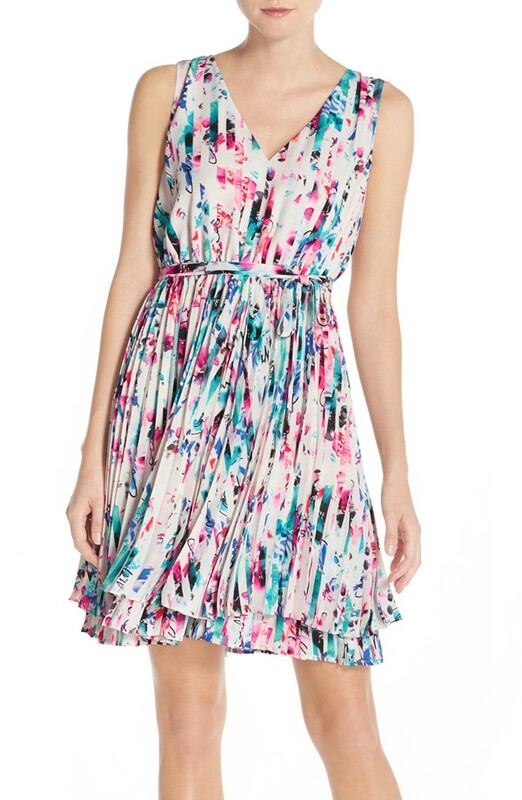 Nothing epitomizes Spring more than a fresh, colorful floral. Always on trend (think about it, they really are) and so easy to wear. Whether you choose a fun bright one, like I chose in this outfit, or a darker one, it’s a fab mix up from the daily monochromatic look. I love love pairing a matching top and skirt. 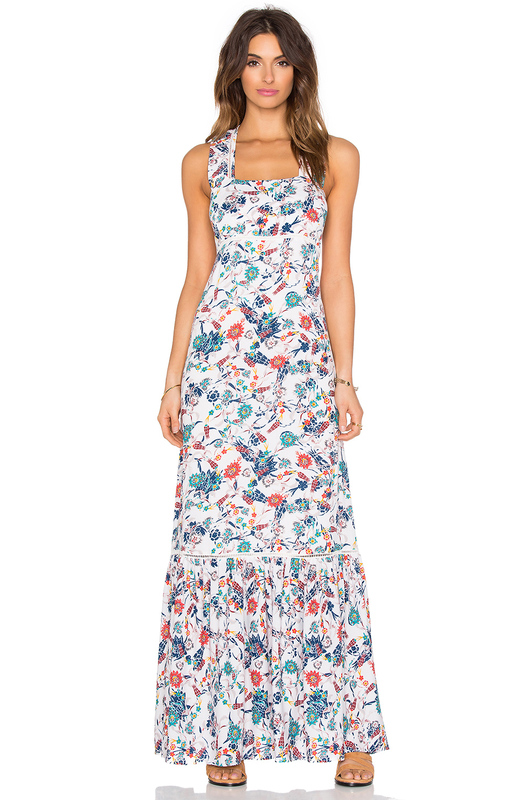 I saw this gorgeously printed Rebecca Taylor duo and knew it would be such a fun look. The long sleeve top is super comfy and will be so cute paired with jeans or shorts as well. And the skirt is my everything. Elastic waist band and the sassiest swingy bottom. 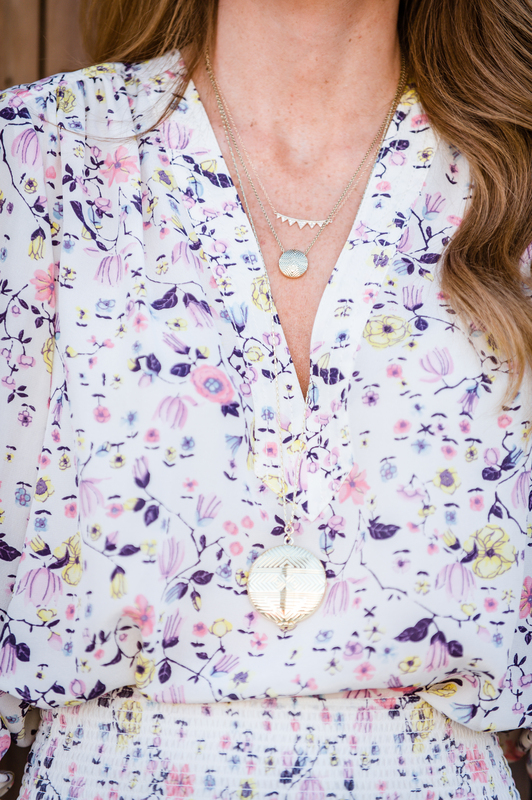 To break up the mass floral frenzy, I layered on my all time favorite House of Harlow necklaces. I love pairing the mini locket and the large one. Such basic pieces that I find myself wearing nonstop. I also threw on my essential Shashi necklace. Since the top and skirt are so soft, I decided to edge up the look with my new lace Joie heels. How fab are these? I love the cognac color and the braided suede. For my bag, I had to go with my Alexander McQueen clutch (color no longer available but similar) as it matches the shoes perfectly. I have had this bag forever and I feel like it only gets better with age. I layered on some Gorjana (love her!) rings and my pink lensed Illesteva glasses to top off the look. I will for sure be living in this look and similar ones all Spring and Summer. Nothing better than an outfit that is super easy and comfy, but still chic and finished.